A headache for the doctor: Wu Ching-kuo has his fair share of critics. Taiwan was overjoyed by weightlifter Hsu Shu-ching’s (許淑淨) gold medal at the Olympic Games in Rio de Janeiro last Monday. Yet, when her teammate Lin Tzu-chi (林子琦) was suspended for doping a few days later, the disparity in column inches – not to mention social media eulogising – was noticeable . It should be added that Taiwan has form with weightlifting cheats, two female competitors having been suspended ahead of the Sydney Olympics in 2000. As a repeat offender, Lin is in illustrious company in Rio. This has been the Games where the issue of serial dopers came to the fore. High profile athletes with more than one blemish include Russian swimmer Yulia Efimova and US sprinter Justin Gatlin. What has been refreshing is the willingness of other athletes to call out these transgressors, with Lilly King, who bested Efimova in the 100m breaststroke, publicly dressing down her tarnished rival. But as many commentators have observed: The real blame lies with the authorities, with swimming’s top awarding body FINA coming in for criticism for its stance on recidivists. Confidence in the administration is at an all-time low, particularly after FINA Executive Director Cornel Marculescu remarked that doping was “not a big problem” in the sport. Swimming’s own Sepp Blatter cemented his reputation for ill-timed gaffes and inappropriate behavior by giving Sun Yang – another swimmer with a doping ban – a hearty hug after the latter’s victory in the 200 m freestyle. Sun later referred to him as a “grandfather” to China’s swimmers. Elected head of the International Boxing Association (AIBA) in 2006, the British-educated Wu was initially praised for appearing to take a tough stance on corruption and cronyism. Many commentators also approved of his abandonment of the punch-scoring system and return to the “10-point must” method of scoring. He was also responsible for winning Olympic status for women’s boxing. 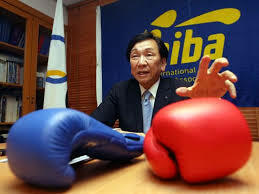 However, Wu soon emerged as an autocratic figure, announcing in 2007 that the AIBA’s mission was “to govern the sport of boxing worldwide in all its forms.” Prescriptive moves to this end came in 2013 when he dropped the word “amateur” from AIBA’s English name (the body’s full French title was originally Association Internationale de Boxe Amateur). Later that year he created a series of tournaments and leagues to bridge the gap between the two levels and with the stated aim of allowing pros to compete at the Olympics. When England’s Amateur Boxing Association excluded boxers who had competed in one of these events from competing in the ABA national championships, Wu slapped English fighters with a ban from all competitions. This was soon rescinded, but only after Wu had said he hoped the ABA “would learn from its mistakes” in going against AIBA. It wasn’t until June that AIBA finally gave the green light to the Olympic scheme, and a tournament was convened with what one British-journalist described as “indecent haste.” Further scorn was heaped on Wu’s decision to hold the event in Venezuela, a country on the brink of chaos. The tourney is said to have cost Caracas US$450,000. With four of Venezuela’s six competitors making it through to Rio, eyebrows have been raised. What most rankled for many was the very idea of allowing pros to compete. There was the question of potential dangers that might come from seasoned veterans facing inexperienced pros. Promoters such as Barry Hearn and Frank Warren derided Wu’s plans, and even Don King – now a virtual nonentity in the game – felt compelled to pipe up, labeling the idea “immoral.” You have to worry when you’re having your ethics questioned by a man who stomped a drug-addict to death over US$600. These fears proved unfounded, with the three professionals that made it to Rio going out early, including former IBF lightweight world champion Amnat Ruenroeng of Thailand. For others, the move simply goes against the Olympic ethos and undermines the amateur structures of competitor nations. Far more disturbing than this, however, were a series of revelations in the British magazine Private Eye earlier this year. In addition to the claim that AIBA had not conducted a single doping test during 2015, the magazine drew attention to a US$10m “loan agreement” that Wu had signed with an oil company in Azerbaijan owned by Kemaladdin Heydarov, the Azeri Minister for – seriously – Emergency Situations. ‘A very major and dangerous gangster’: Just the kind of guy you want as the vice-prez of an amateur sports association. 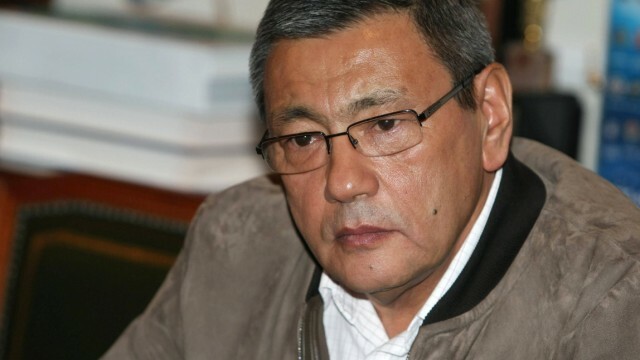 Further connections to Central Asian criminality come in the form of AIBA Vice President Gafur Rakhimov, an alleged drug tsar and organized crime figure, who was banned from entering Australia for the Sydney Olympics. Former British Ambassador to Uzbekistan Craig Murray – who was essentially booted for exposing Uzbek President Islam Karimov’s proclivity for boiling people to death – called Rakhimov “one of the four or five most important people in the heroin trade in the world.” Murray added: “He’s absolutely a very major and dangerous gangster.” Thus far this hasn’t seemed to bother the good Dr.Wu, who continues to resist calls for the removal of the Uzbek official. It should also be noted that Karimov and Rakhimov are purportedly as tight as drainpipe jeans. Here’s hoping. Considering the scant press Taiwan garners during the Olympics is usually related to the ignominy of its official nomenclature, this is one association we could do without. Thank god you left all the names and shady deals and torture methods out of the Taipei Times piece. People might come looking for you. Aside from that, a good read .I’ll be looking out for more Dr. Wu tales in the future. Great read! I had no idea this stuff was going on. It would have been interesting to see if you would have dropped some of these names in your article in The Taipei Times. I know it was too risky though.